Every Friday, we are bringing you our “Fin of the Week”! Make sure to follow us on Facebook, Twitter, or LinkedIn to get the latest news and updates. Robinson Fin Machines, Inc. is a leading fin manufacturer in Kenton, Ohio. 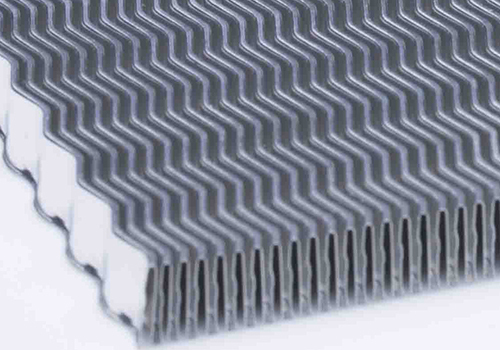 Heat transfer fins are used in various markets: aerospace, defense, electronics, telecommunications, fuel cell, power generation, automotive, and medical industries. These fins can be used in an array of applications such as: cold plates, fuel cell stacks, heat exchangers, heat sinks, and various other industrial uses. If you are looking for a folded fin manufacturer, Robinson Fin is leading the way in customizable fins for all of your heat transfer application needs. If your company is interested in purchasing fins for heat exchangers, Robinson Fin can provide a quote for your specific folded fin needs. 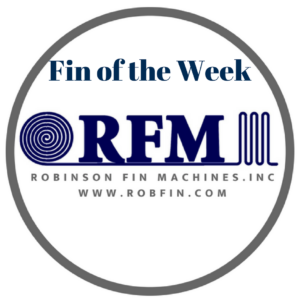 If you are looking to buy fin for heat transfer, contact Robinson Fin Machines, Inc. today! Did you miss last week’s “Fin of the Week”? © ROBINSON FIN MACHINES, INC.